Simple, intuitive user interface and ease of installation. Attractive modern styling ideal for hotels and condos.Digital display of ambient temperature, setpoint, mode icons when cooling or heating relays operate, when energy savings mode is active, and fan status. 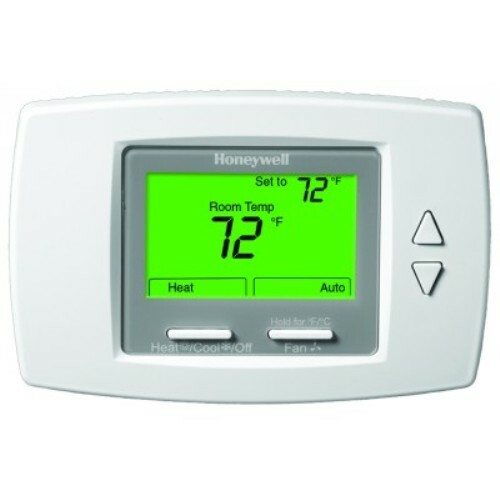 Four buttons allow manual control of system operation, fan speed, and temperature setpoint adjustment. VersaSpeed ™ Fan Ramp Algorithm automatically adjusts Low, Medium, High fan speed. Optional freeze protection feature that turns on heat, if necessary. Activity sensing algorithm sets back thermostat to economy mode. Auto fan rest option sets back fan to auto mode. Energy savings mode – external energy savings input from dry contact such as time switch, occupancy sensor, or hotel cardkey overrides comfort setpoint with selectable setback heating or cooling setpoints. Energy savings input configurable as a normally open or normally closed dry contact. Proportional plus integral (P+I) control algorithm for precision temperature regulation. Adjustable deadband, in auto changeover mode, for heat and cool control. Adjustable maximum heating and minimum cooling setpoint limits.